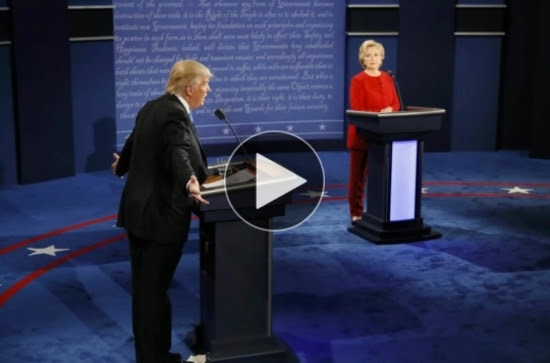 DEBATE 1: WATCH THE PILING UP ON TRUMP–BUT NOT SO FAST! 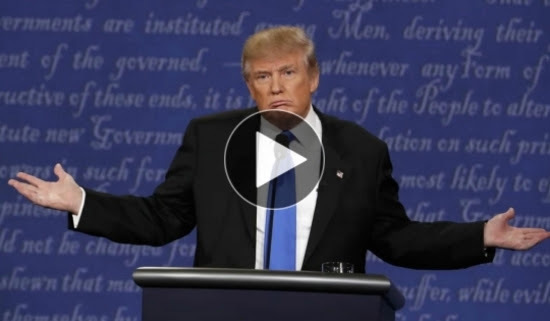 This blog does not really want to add to the storm of commentary on the Republican candidates troubles in last night’s debate (#1). I choose below to offer the WASHINGTON POST’S daily spin on events, because the young conservatives who do most of the commentary for that paper are probably more revealing than the predictable head shaking and “we told you so’s” from the NEW YORK TIMES. Today I want to see what newspapers in other parts of the country are saying. Mr. Trump scored some early points that few commentators caught, by referring repeatedly to jobs lost in Ohio, Michigan, and Pennsylvania, which will resonate with people there. The fact that he didn’t have a specific plan to bring jobs back to those states, and the fact that he is very unlikely to win in the second and third of the above states may not matter. In his way he struck the right tone for fed-up working people. I am worried about what might be called the “Rocky Effect” hearkening back to the Sylvester Stallone movie about the boxer who was down for the count at the beginning and then staged a come-back… Trump is far from stupid, just mightily disorganized. He bordered on the unstable in Debate One. But then Nixon and Obama in 1960 and 2012 did not have good first debates. Like so much with the Republican candidate, a unique personality for sure, in this surreal, fiercely polarized year, it may not matter even as much as head-shaking Republicans might think. Their candidate has repeatedly shown that he can be showered by bullets–many from his own weapon– and keep coming in a way that bolsters his supporters. My final point is that in a Real World, rather that SURreal– and I am not sure which we are living in right now in this country, Clinton should be winning polls in double digits. I do not think either of the candidates is as “off-putting” to voters as the media have spun them to be. There is something refreshing about Donald Trump. Really. But last night reinforced this reality: “refreshing” does point to somebody who is not remotely qualified to be President. THE BIG IDEA: The consensus that Donald Trump badly lost the first debate gelled overnight. Liberals predictably panned the GOP nominee’s performance on Long Island, but some of the harshest reviews are coming from conservative thought leaders who had been starting to come around. Republican pollster Frank Luntz conducted a focus group of undecided voters in Pennsylvania. Sixteen said Hillary Clinton won. Five picked Trump, per CBS News. In a Florida focus group organized by CNN, 18 of 20 undecided voters picked Clinton as the winner. Not one of 29 undecided voters in an Ohio focus group organized by Park Street Strategies thought Trump prevailed, while 11 picked Clinton and the rest said neither. By a two-to-one margin, the group thought Clinton had the better tone and, by a three-to-one margin, they thought she came across as more knowledgeable candidate on the issues. A CNN/ORC flash poll found that 62 percent said the Democrat won, compared to 27 percent who picked Trump. That’s on par with 2012, when Mitt Romney was seen as the winner of the first debate. In a separate instant-poll from the Democratic firm Public Policy Polling, 51 percent said Clinton won and 40 percent picked Trump. Eight in 10 insiders in the key battleground states thought Clinton performed better, including 57 percent of Republicans, according to the Politico Caucus survey. — Trump’s surrogates in the spin room were downbeat, and the candidate himself has already begun making excuses: “They gave me a defective mic,” he complained to reporters during a gaggle. “Did you notice that? My mic was defective within the room. 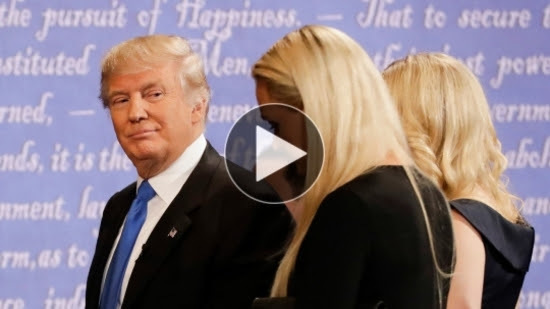 I wonder, was that on purpose?” There was no clear problem with his microphone during the debate, Jose DelReal notes. Trump was supposed to stop by the Nassau County Republican Committee’s watch party on his way home. He skipped it. Clinton, meanwhile, celebrated with hundreds of supporters in Westbury. And Rudy Giuliani, a top Trump surrogate, even suggested that Trump should skip the next two debates unless he gets concessions. 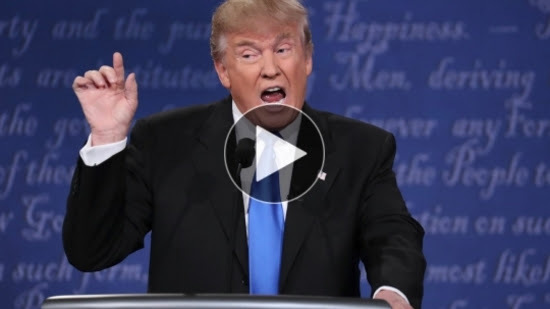 “If I were Donald Trump I wouldn’t participate in another debate unless I was promised that the journalist would act like a journalist and not an incorrect, ignorant fact checker,” he said. — It was a debate about Trump. Like the whole 2016 cycle, the GOP nominee sucked up all the oxygen. 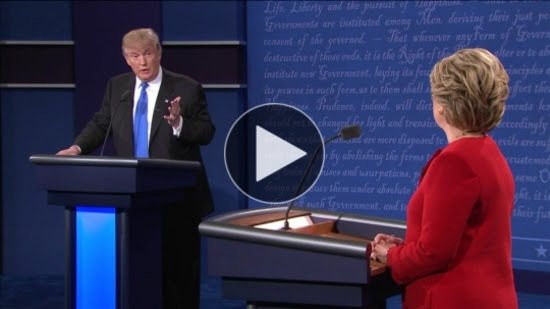 Facebook says eight in 10 posts about the debate focused on him. Twitter said 62 percent of debate-related tweets were about him. — But Trump’s lack of preparation showed. There were too many missed opportunities to count. “I’m not positive Hillary actually won the debate. But I’m sure Trump lost it. He choked,” writes Weekly Standard Editor Bill Kristol. Trump’s web site was not even ready for the deluge of traffic. It crashed. — Trump got worse with each passing exchange. 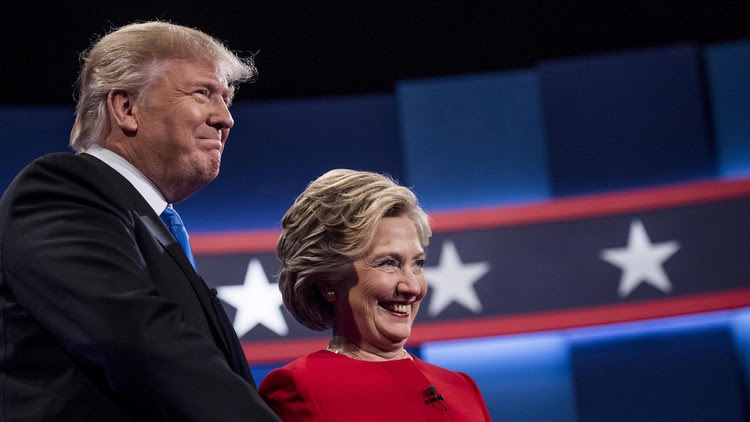 “In the early stages, Clinton and Trump seemed evenly matched, but the longer it went on, the more she was able to score against him,” writes Dan Balz, The Post’s chief correspondent. Trump took the stage subdued, trying to show he’s serious, but he became peeved as he allowed Clinton’s attacks to get under his skin. “Within minutes of the opening bell, Clinton’s attacks forced domesticated Donald to go feral – he bellowed, interrupted her repeatedly, grunted, and toward the bedraggled end, became muted and pouty,” writes Politico’s Glenn Thrush. — Trump played to his base. He did nothing to win over fresh converts or reassure recalcitrant Republicans. Sean Hannity’s audience is not who he needs to win over. — Clinton’s performance, in contrast, will excite her base and put a pause to some of the recent bedwetting about a tightening race. “The contrast between an obviously and eminently qualified public servant and a ranting bully was as stark as any presidential debate in American history,” adds Jonathan Chait, his colleague at the magazine.